Discount Magic - Mindfreaks Vol. 6 by Criss Angel. 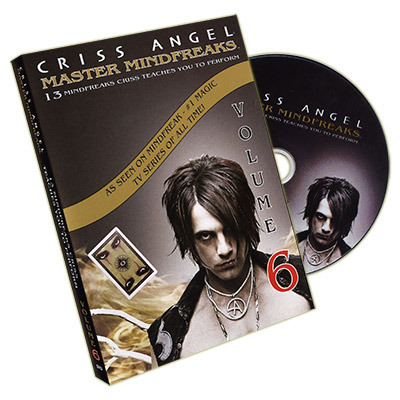 Considered the most influential performer in magic today, Criss Angel releases a new volume in the widely acclaimed DVD Instruction Series MASTER MINDFREAKS. Each DVD is filled with new mind-blowing MINDFREAKS performed with household items.